As many of you know, pharmacists and the pharmaceutical industry have a lot of issues in common. Sometimes we agree and sometimes we do not. Frequently these days we've been on the same page about a lot of things, like biosimilars, REMS, access, drug information and education and others. 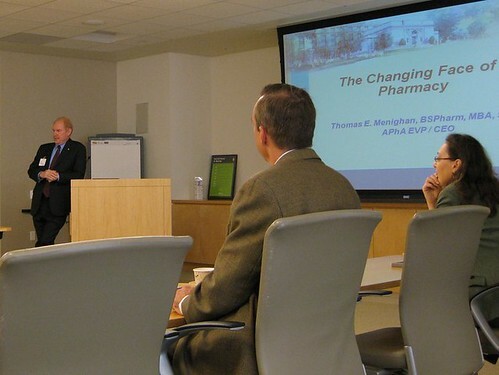 My goal in any direct encounter with a pharmaceutical company is to promote pharmacists' roles in safe and effective use of their products in ways that benefit our patients. About 2 weeks ago, I had the pleasure of visiting Amgen. Thanks in part to the work our staff has done with them the last few years, they are quite interested and engaged about the changing role of the pharmacist in specialty and community practice.